Time fly's. It's one year since my very first post that launched this site. 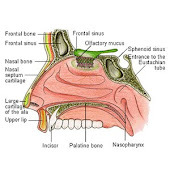 I actually wasn't planning at that time to do more posts, i simply wanted to make a list of certified Nose Revision Surgeons, explain some do's and don't before agreeing to surgery, and make people aware of risks involved, like neuropathy and empty nose syndrome. I like to take this time to thank you all for coming to my site and for your emails. Each month this site is getting more and more views from Countries all over the world. Majority are from U.S.A. followed by Canada, U.K, Asia, Central Europe. I feel this site is like a grand central station where those contemplating nose revision surgery can feel comfortable to search out the information they're looking for without worries of being solicited; at the same time this site gives exposure as another outlet for Surgeons who write research papers, articles, books and are specializing in Nose Revision Surgery. The more informed you are, the more you'll understand your operated nose, what was performed and why on prior surgery's, and the better your chances at selecting the right Surgeon this time around, of course that's if you decide to go ahead with surgery. Good luck!